What is an Unlimited App? What is an Internet Pass? It's an 'Unlimited App' promo that changes everyday! You have 24 hours to buy the PopDeal before it disappears! In case you miss it, you can always look forward to the next day for a new surprise. It gives you unlimited high-speed internet access 24/7 to the app(s) you love! Internet usage from downloading the app from the Google Play Store will not be covered by your PopDeal. Only usage of that app is covered by your pass. 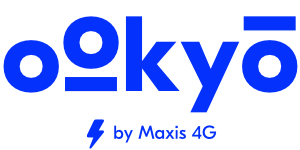 Have the ookyo app installed and running on your device and ensure your Unlimited Status = OK.
How do I sign up and pay for ookyo plan?